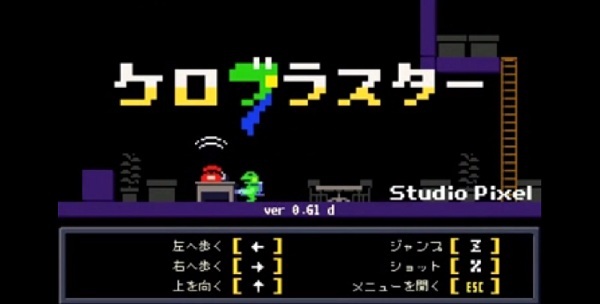 Daisuke Amaya, the man behind the construction of pixels known as Cave Story has just released a new trailer for his upcoming game, Kero Blaster. This game is all about action-platforming, so if you’ve been hankering for something Mega Man-like, you’re in luck. While Kero Blaster doesn’t have the same visual clarity that Cave Story does, it appears as though the level design is going to be a lot tighter this time around. Kero Blaster appears to be doing what Super Mario 3D Land did: squeezing the action into smaller areas, and potentially offering players a more intense experience. There seem to be a plethora of weapons to use, allowing for some improvised, creative blasting. Kero Blaster has been confirmed for iOS with the potential for PC, 3DS and perhaps a few other platforms. Stay tuned for more info! 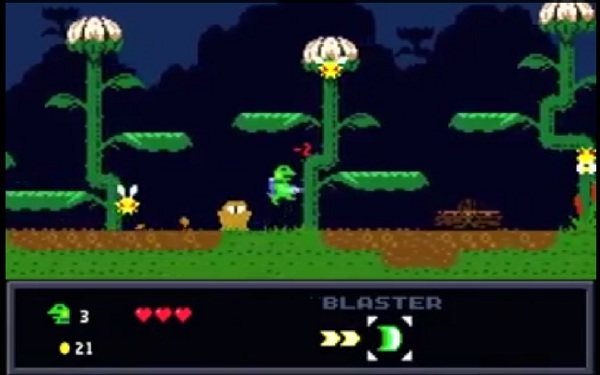 UPDATE: Gero Blaster has been renamed to Kero Blaster and this story has been updated to reflect that. The game will be releasing on PC and iOS on May 11th.